The roomy rear of the Tesla Model S sure looks like a cozy place to camp out, but the floor might be a bit uncomfortable even with the seat folded. Fortunately, Dreamcase makes a bed for the hatch of the Model S, but as Brooks from DragTimes demonstrates, you should really only use it while parked. Those of you who were on Team Kid when Brooks demonstrated why his kids couldn’t drink in his car finally get your payback here. Not wanting to subject his kids to anything he wouldn’t do, Brooks opts to test out the bed himself. It looks pretty comfy back there when the car is parked. The Dreamcase came with its own linens and pillows, and there’s even ample room for stuffed animals. Thing is, this is the Tesla Model S is the P100D equipped with Ludicrous mode, which is capable of going from 0 to 60 mph in just 2.6 seconds. 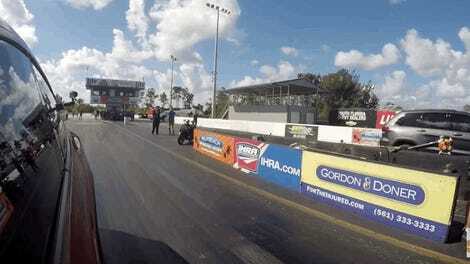 Great for drag strips! Not so much for peaceful snoozin’. 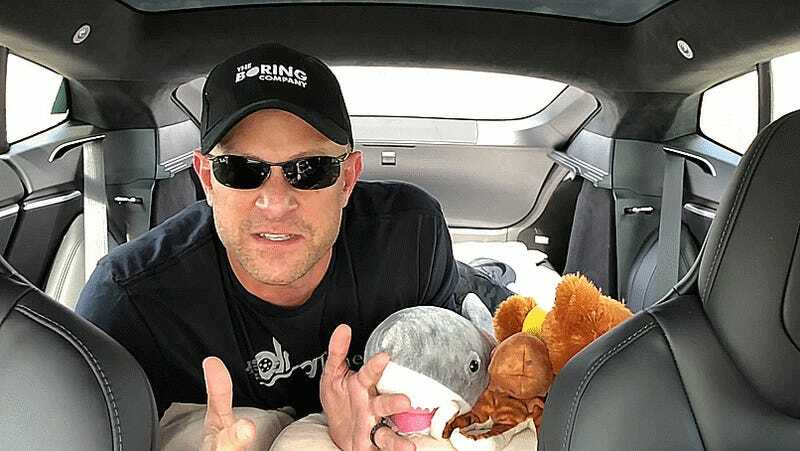 Brooks gets thrown around enough that he rules out his kids trying it out entirely, and you probably shouldn’t try taking a nap in the hatch of your moving Tesla, either. We definitely heard something crack on that second run, too.